There is nothing like enjoying a glass of Moscato wine and a slice of homemade peach pie while curled up on the couch watching the newly released movie, Labor Day on Blu-ray. Featuring one of my favorite actresses, Kate Winslet and Josh Brolin, this dramatic romance story is exceptional. In fact, my husband normally refuses to watch “chick films” (his words) but this movie was so appealing that he ultimately admitted that he thought it was a very good movie. In order to get ready for the movie, I treated my husband and a friend to a homemade peach pie topped with a scoop of vanilla ice cream in honor of one of the key parts of the movie. Based on the novel by Joyce Maynard, this story centers around 13 year old, Henry who struggles with having to be “the man of the house” in order to take care of his depressed single mother, Adele (Winslet). It is soon apparent that Adele is still grieving the loss of her marriage and is consumed with loneliness and social anxiety. While shopping at the local market, Henry and Adele are approached by a wounded man (Brolin) who asks for a ride in a menacing way which cannot be refused. When they ask where he would like to go he insists that he be taken to their house……and so the story begins. Directed by Jason Reitman, the story unfolds with narration by an adult Henry (Tobey Macguire) as we learn much more about all of the troubled characters including the stranger, Frank who is an escaped convicted murder. As the cops scour the area looking for him, Frank informs Henry and Adele who he is and that he is going to hold them hostage so that he doesn’t end up going back to prison. This trio ends up forming an unusual bond and ultimately must decide if they will flee. The character development is very interesting and translates well from the novel to the big screen thanks to terrific acting by the main characters. It shares the stories of each character which successfully was able to draw us into the story and keep us at the edge of our seats wondering what is going to happen next. I love how it shows how adult parental relationships, especially those that are quite flawed can have a life-long impact on the children who are a part of it. 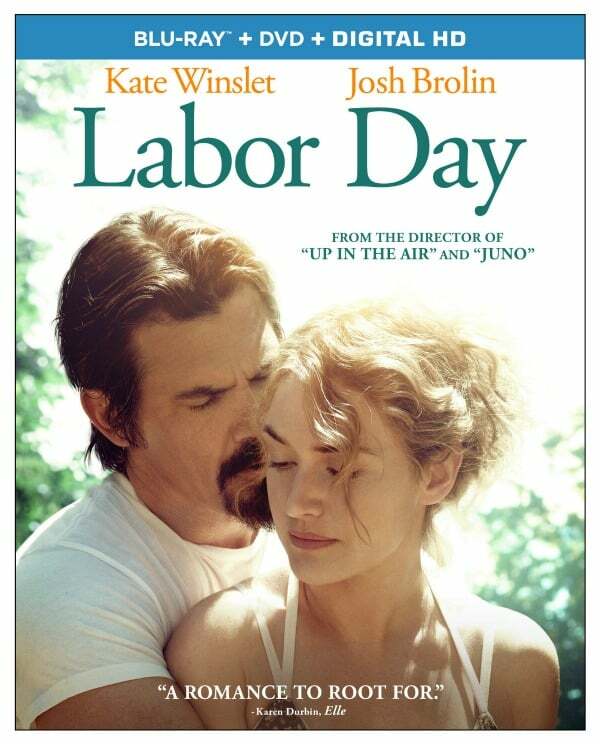 Without giving away spoilers, I find Labor Day to be a wonderful movie to watch with your honey on an evening after the kids go to bed or with a group of girlfriends enjoying your own slice of peach pie and a glass of your favorite white wine! You will never look at fresh, juicy peaches the same way again……………..I promise! Labor Day is currently available for purchase as part of a Blu-ray combo pack (includes digital HD) at major retailers and at Amazon.com for $19.99. Connect with Labor Day on Facebook. I saw a trailer of this movie and so want to see it. Love them both. I really want to see this movie, I think it will be really good!! Love them both as actors so I think it will make a good movie for movie night!! I have wanted to watch this movie for the longest time! The trailer looks interesting. I missed this movie, thanks for your review, will plan to watch it! I really enjoy Kate Winslet so I am definitely going to check this out! Your pie looks delicious!!! This sounds like an interesting movie, I would watch it. 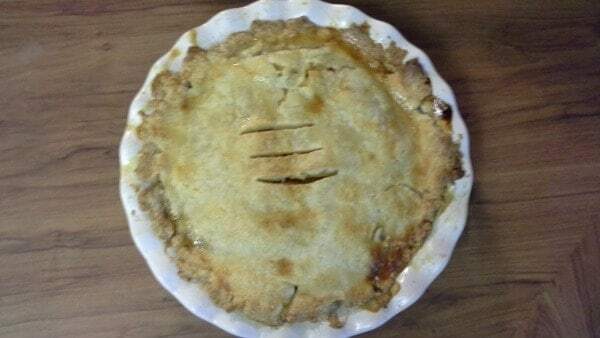 Thank you for sharing this review…..And the pie looks delicious, I was hoping you’d leave the recipe along with the review. I just picked up this movie from the library on Saturday(I had reserved it) and plan on watching it tomorrow. Yes, there’s nothing like relaxing with good food and/or drink and a good movie. Thanks for your review. Now I’m looking forward to watching it even more.